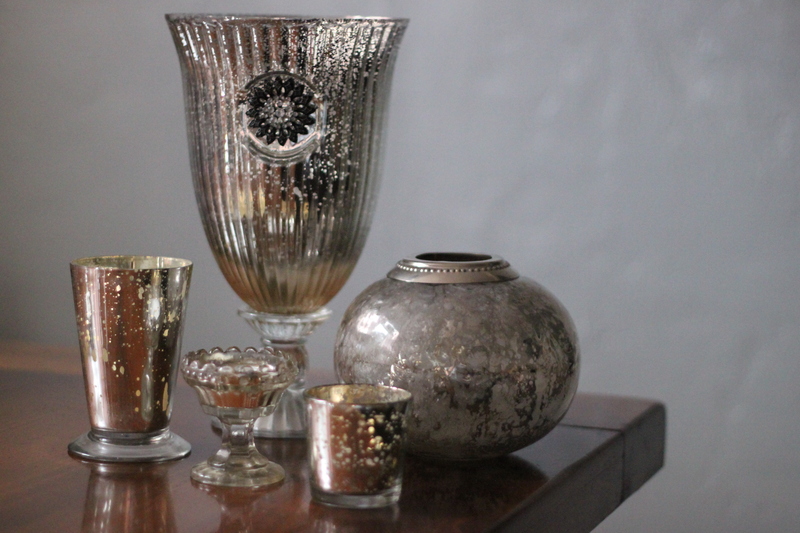 For as long as I can remember my eye has always been drawn to mercury glass. There is something elegant yet understated in its appearance. It adds glamor yet is totally vintage looking – I love mixing elegant and undone elements. I’m all about juxtaposition. 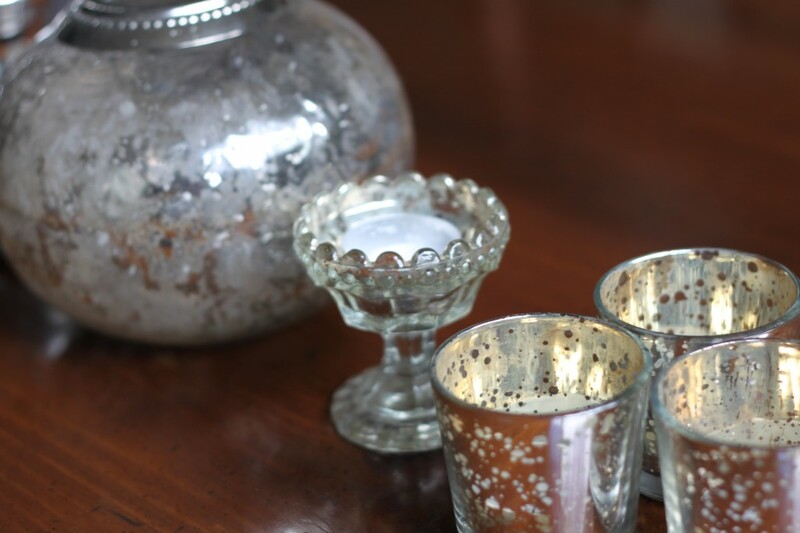 I love mercury glass so much that I have begun to amass quite a collection – votives, vases, candle holders just to name a few. You name it, I’ve got it. Mercury glass actually originated in Bohemia (current day Czech Republic) is really called ‘silvered glass’ but does not contain mercury or silver. 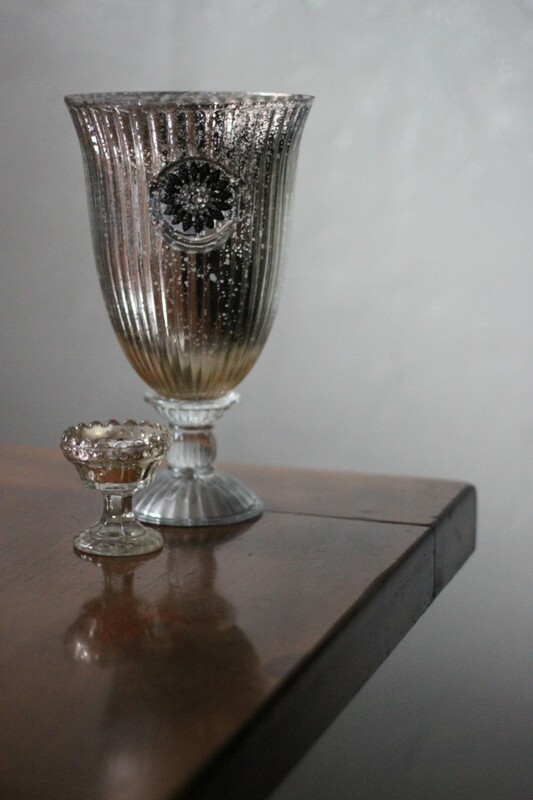 True silvered glass is made with a double-walled glass piece hand blown with a silver nitrate solution added to the space between the layers. Its then closed up or plugged. 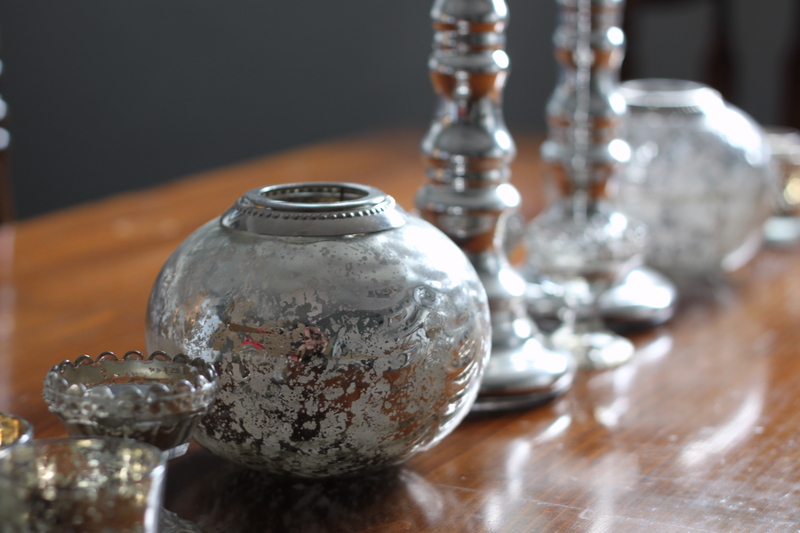 Mine isn’t real silvered glass but looks nearly identical. 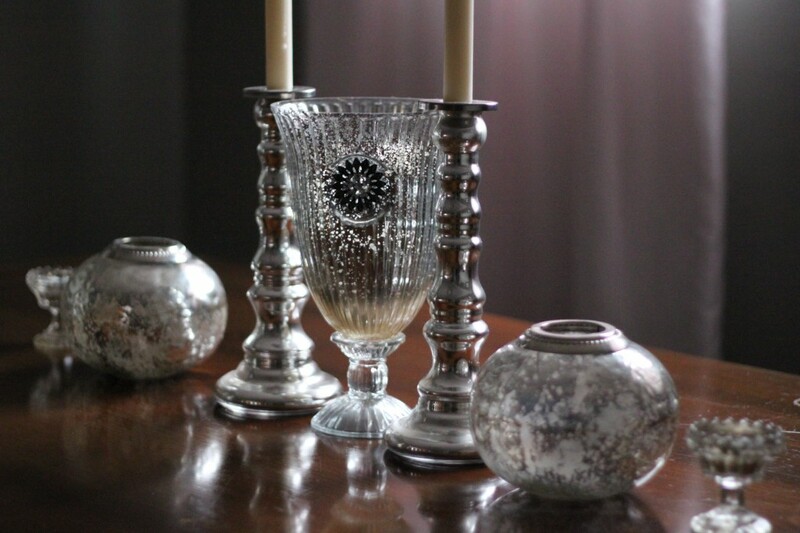 In terms of presentation, you can have a single piece of mercury glass like a vase filled with flowers that will add some of the elements I mentioned earlier or you can keep it simple by just adding a long row of mercury glass votives with other shaped candle holders. You can also use the votives as bud vases. Get creative with it. Feel the freedom.